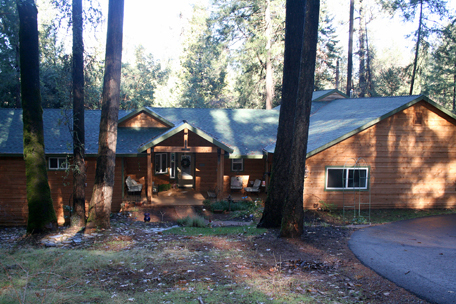 This home is situated on a flag lot very private with lots of trees. Gourmet kitchen with soft illuminating lights. Step down cozy living room with attached deck. Separate master suite with private balcony, downstairs bedroom/bath. Copyright 2005-2007 360 Home Pictures All Rights Reserved.